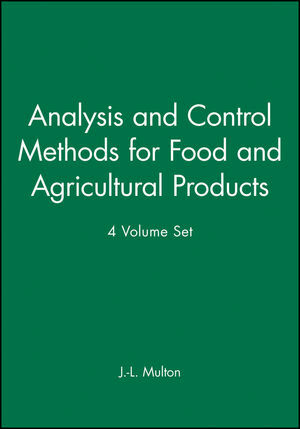 This is the second volume in the 4-volume set Analysis and Control Methods in the Food Industy, edited by J-L. Multon. 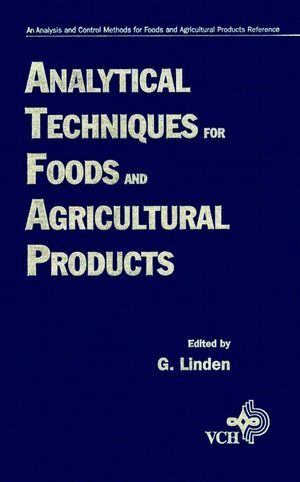 The book describes all the main analytical techniques used in the food industry. Physical and chemical principles underlying the techniques are reviewed, and the limitations of the techniques and their fields of application are defined. The scope is unusually wide, encompassing physical, chemical, engineering, biochemical, toxicologial, and sensory analysis techniques. It presents a wide variety of analytical methods, including those based on spetroscopy, chromatography, electrophoresis, thermal analysis, electrochemical analysis, rheology and molecular sieves. G. Linden is the author of Analytical Techniques for Foods and Agricultural Products, published by Wiley.